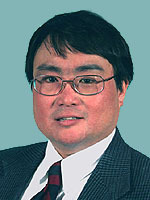 Currently practicing Internal Medicine and specializing in Rheumatology, Dr. Chan is a graduate of Dartmouth Medical School, Hanover, NH. He completed his residency with New England Deaconess Hospital, Boston, MA. He completed his rheumatology fellowship training at the Massachusetts General Hospital, Boston, MA. Dr. Chan is board certified in Internal Medicine by the American Board of Internal Medicine and board certified in Rheumatology by the American College of Rheumatology.